Managing your child’s behaviour: Can’t behave, Won’t behave? The answer in theory is unequivocally “yes”. But, so often in practice is “no”. This is because behavioural management is easiest to implement when your child is “typical” and has no other problems, and you (the parent) are brilliant, have no problems and are super consistent in everything you do both with your co-parent and school. Which basically means “no” or only “a bit”– as when does the above situation ever happen? Neurodevelopmental problems, in particular learning difficulty can heavily impact behaviour. In young children, aggression and temper tantrums are typical responses to frustration, but by school age, some control should have been gained over these behaviours. If a child is developmentally delayed, then their ability to behave should be compared to their developmental age rather than chronological age. A 16 year old boy with the developmental level of a 4 year old; can be expected to behave in line with a 4 year old. For a four year old, temper tantrums and hitting out are common responses to frustration, the trouble is that being hit by a 16 year old boy in a temper tantrum has very different consequences to being hit by a 4 year old, and yet, the child “can’t” help responding in this way. These children are often clients in child mental health services as parenting children with severe learning difficulties can be extremely challenging. Other neurodevelopmental disorders also cause behavioural problems. In ADHD children with problems with attention cannot listen to or follow instructions as well as other children. They will tend to act without thinking and may do things that they regret later because they acted without thinking. Children with Autistic Spectrum Disorder may have behavioural problems as they are having difficulty in understanding what is being expected of them and poor social understanding can lead to many more frustrations on a daily basis. Standard behavioural management may not work in these groups of children and behavioural management needs to be adapted to the child’s difficulties. In general it is harder to implement and with more varied results than in children without neurodevelopmental difficulties. Children who are having emotional problems may have difficulties in behaviour. Emotions and behaviour are inextricably linked. When we feel down or stressed out, our behaviour changes. Some of us reach for chocolate, some for alcohol, some people become withdrawn and unsociable, other people become irritable and angry. It is important to assess emotional aspects of your child’s life if their behaviour changes or deteriorates. Children may not always volunteer their states of mind to you. They may not be able to label their emotions, or to express themselves. They may be afraid to talk about these things. Their unhappiness and frustrations are displayed in their behaviour rather than in words. It is your responsibility as a parent to notice, to ask, to label for them, to give them words, to give them permission to talk about their difficulties. To guess and to investigate from asking teachers and friends if nothing is forthcoming. It may be that they are being bullied at school, it may be that they are picking up on the stress in your marriage, it may be something trivial, but if you don’t notice/ enquire, you won’t know and their change in behaviour will just be called “bad behaviour” or “acting out”. In these cases, behavioural management will not work well. Rewards will feel irrelevant, ignoring and punishment will feel like persecution, negative attention will be better than no attention and rejection is a welcome confirmation of their own self-loathing. Finding out what is wrong, offering security will work better here. Unattended emotional problems in children can impact personality and aid development of long-lasting traits that can lead to “bad behaviour” becoming habitual and “part of” a person’s personality that can no longer be easily mended. In children without these additional problems, the limiting factor to good behaviour is usually the parent not the child. In the defining clinical trial for children with ADHD where they compared medication to behavioural management (The MTA Study), behavioural management achieved equal outcomes compared to medication. But wait, here the behavioural management programme used highly trained psychologists to work with highly motivated parents and teachers to obtain this outcome. Real-life trials (what we call pragmatic trials) using existing services, which tend not to heavily involve the schools (as the Department of Education is separate from the Department of Health), and non-selected patient groups, that have looked at the efficacy of community parenting and behavioural management programmes have netted unimpressive results. It is not that children’s behaviour cannot be managed; it is that the will of society and parents, is insufficient. I know this all too well. Big Sis has a weekly spelling test. On the weeks where I have my act together, we sit and learn the words and I test her on the words each day to make sure that at the end of the week, she gets full marks and I reward her for this attainment. This is basically behavioural management in action: co-working towards a set goal that is achievable, achieved and rewarded. This works fantastically well, thumbs up and smiles all around. Once she has done this for a few weeks, I get complacent and I think, well now – maybe I can just give it a skip this week, she and I can both have a relax and we’ll just have a quick look at the words the night before. She gets a couple of mistakes. That’s basically my anecdote for behavioural management. It genuinely works until one day, you can’t be bothered and it all goes a bit wobbly again. The limiting factor is me, not Big Sis. Wobbles in my behavioural management can also be seen when I am stressed or distracted. One time when I was very stressed waiting for a phone call regarding a job offer; the children were extremely badly behaved – “for no reason”. I was snappy and shouted at them and they just wouldn’t do what they were told – “it was as if they knew exactly when to wind me up”. Eventually, the phone call came, and I had got the job. That afternoon, they were very well behaved. The change had been in me, and their behaviour merely reflected my state and parenting capability, not something innate in them. When we talk about “bad behaviour” we all mean different things and we all have different thresholds as to what is meant by “bad”. Some friends and relatives come by our house and make “tutting” sounds when they see our kids glued to the TV, leave the table at meal times on a whim to dance around the kitchen, bonk each other on the head with cushions and generally shout at each other and at us. To me, this is not bad behaviour – this is just life in our household! Equally, I raise a brow when I see children that never say “please” or “thank you” and run away from their parents on the street, while this is not something that bothers them. When parents complain that their children “Will not do as they are told”, the severity of the issue rather depends on what they are being told to do. If they will not do 60 minutes of piano practice every night, that is rather different from refusing to do their homework, or refusing to stop watching TV; and “good” and “bad” behaviour is sooo dependent on what the parental and school expectation is. Often there are cultural and generational expectations of how children should behave. A normal child in a school with high behavioural expectations may be deemed to have “bad behaviour”, a normal child in one culture may be deemed badly behaved in another. The behaviour is relative and in order to assess behaviour properly, it is important to first evaluate that the expectations are reasonable. There is a limit to how much a child can “change” and they will not bother to attempt to change behaviour if they feel that the bar is being set too high. One of the main saboteurs of a good behavioural management programme is “other people”. The well-intentioned/ or not so well-intentioned other half who disagrees with what you are doing. By not supporting you, they are de facto sabotaging the behavioural management plan because children are such buggers that they can spot disagreement a mile off and work it to their advantage. Much like MPs claiming expenses and benefit fraudsters, they are not averse to trying to get away with as much as they can. Playing one parent off the other must be a favourite game for children. In my opinion parents who want to succeed at behavioural management need to get on board together, or not bother. A similar conundrum exists with the school. If children are told one thing at home and another at school, the “authority” of “the rules” is undermined. It is a good idea when implementing behavioural management to discuss plans with the child’s school so that the same message is delivered to the child. So in summary, if emotional problems are excluded, behavioural management delivered consistently and well will definitely improve your child’s behaviour, even if they have additional difficulties; but it is by no means a magic wand. It takes hard toil, stamina, guts, persistence and tears, but can reward you with likeable human beings. Isn’t that the essence of parenting? 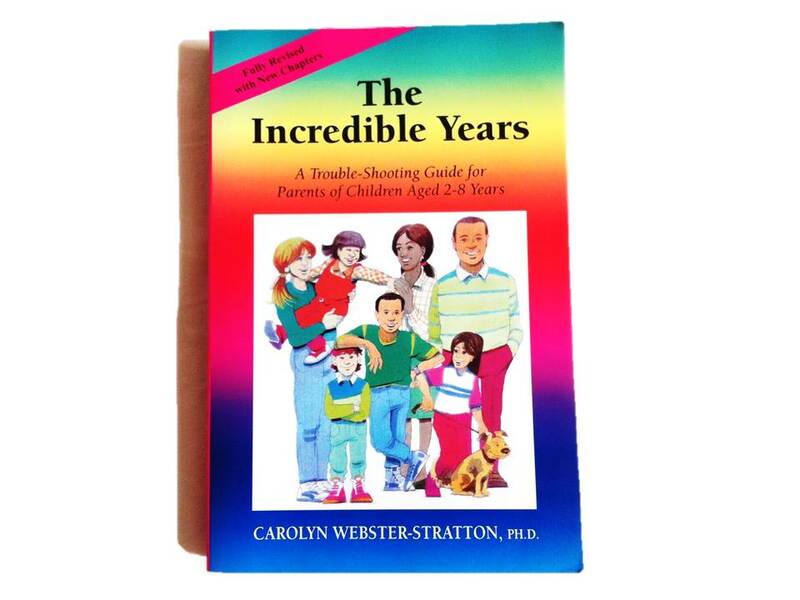 If you want to know more about behavioural management please buy/ beg/ steal/ borrow: The Incredible Years, by Carolyn Webster-Stratton. 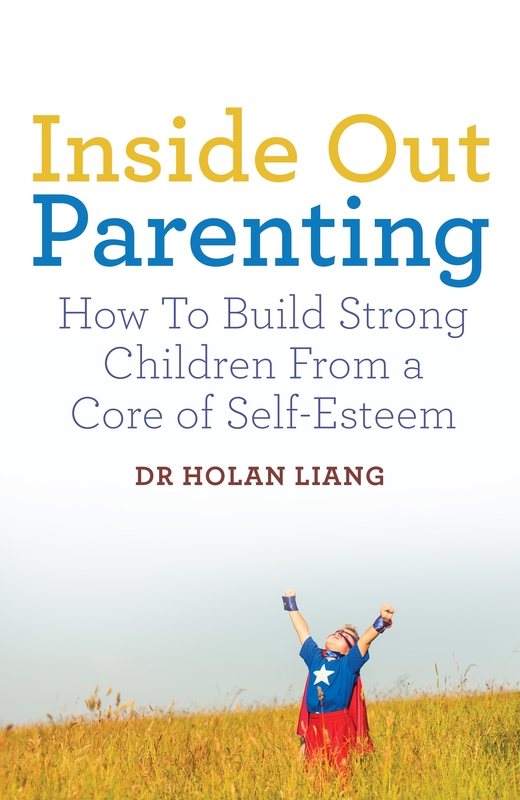 This is the programme recommended by my colleague Professor Stephen Scott OBE of the UK’s National Parenting Academy. I have read it cover to cover and it’s good common sense.